This student submission comes from my former student Alyssa Dalling. Her topic, from Precalculus: the equation of a circle. This will help students understand how different aspects of a circle relate to its standard form equation. The following is an example of a flashcard that could be passed out. C. How has this topic appeared in high culture (art, classical music, theatre, etc.)? Circles have been used through history in many different works of art. 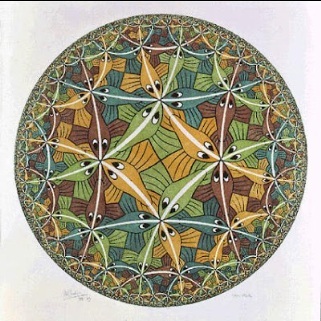 One such type is called a tessellation. The word Tessellate means to cover a plane with a pattern in such a way as to leave no region uncovered. 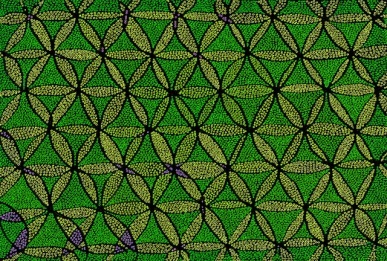 So, a tessellation is created when a shape or shapes are repeated over and over again. The pictures above show just a few examples of how circles are used in different types of art. 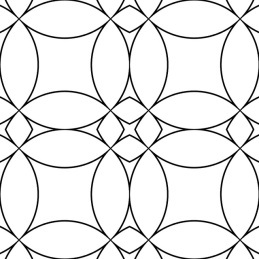 A good way to engage students would be to show them a few examples of tessellations using circles. Khan Academy has a really fun resource for using equations to graph circles. At the beginning of class, the teacher could allow students to play around with this program. 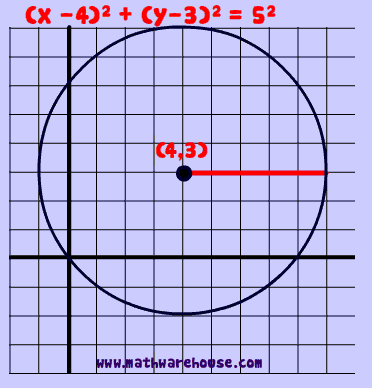 It allows students to see an equation of a circle in standard form then they would graph the circle. It gives hints as well as the answer when students are ready. The good thing about this is that even if a student goes straight to the answer, they are still trying to identify the connection between the equation of the circle and the answer Khan Academy shows.